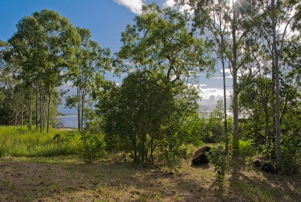 THE "VILLAGE IN THE RAIN FOREST"
Great Life Style Property sloping to the Barron River. 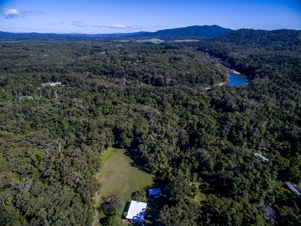 The spectacular Barron River is the high light of this property and can be accessed by a walking path leading to a comfortable, grassed spot right on the banks of the river. 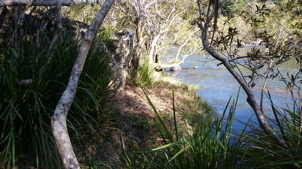 The rock formation is the perfect spot for the keen fisherman. 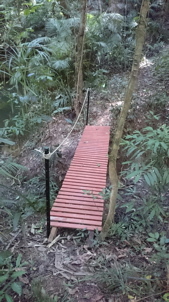 A permanent creek meanders through the property and can be crossed by a bridge. birds and butterflies that add colour and charm to the property. 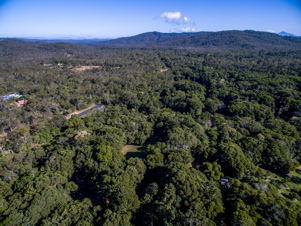 The 2.5 ha landscaped house site is situated at the highest point of the property and would allow for a spectacular view over the Barron River. This property lends itself to a very enjoyable lifestyle, that could accommodate a sprawling residence with all the desirable additions, tennis court, pool and guest house (paying guests or family). 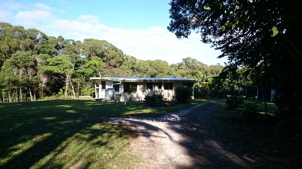 The 3 bedroom/1 bathroom house, the shed and rainwater tank as well as town water, provide temporary accommodation, whilst the residence is built. Since the neighbouring property has subdivided some of their land, there is also the possibility to create a friendly, like minded neighbourhood on that land. 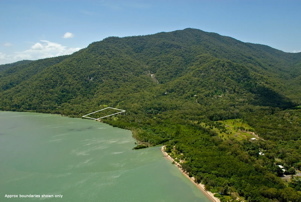 Some facts about the "Village in the Rain Forest"
Kuranda is located 25 km from Cairns. The Elevation is 330 meters. 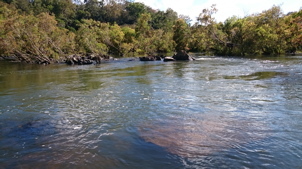 Parts of Kuranda, particularly along its eastern edge, are protected within the Kuranda National Park and Barron Gorge National Park . 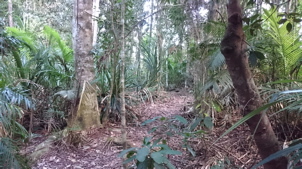 Both national parks belong to the Wet Tropics Heritage Area. 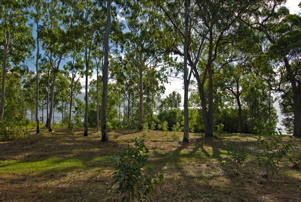 The Barron Gorge Forest Reserve and Formatine Forest Reserve have been established in the south of Kuranda. 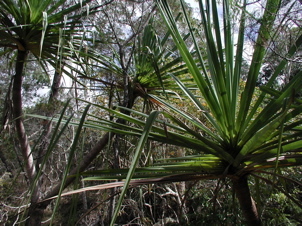 Closer to the centre of the town is Jumrum Creek Conservation Park. 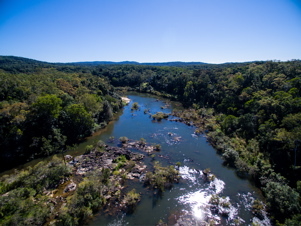 An elongated dam created by a weir built for a power station was constructed in 1935 and is used to today for recreation. 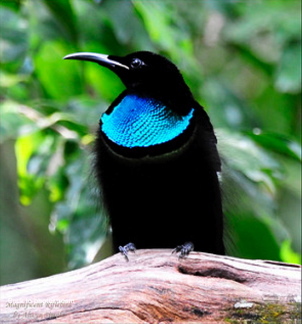 The town is surrounded by tropical rainforest, which is abundant with wildlife and popular amongst birdwatchers. 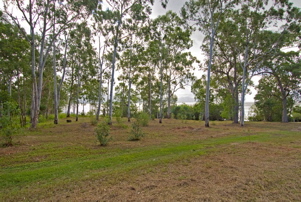 There are several short walks around the village including the Jum Jum Creek Environmental Park, which includes the River Walk. Walking to the Barron Gorge National Park to visit Barron Falls is also popular, another 1 kilometer each way to Wright's Lookout. Being situated in the tropics Kuranda experiences only mild variations in temperature and its seasons consist of a dry season and a wet season. 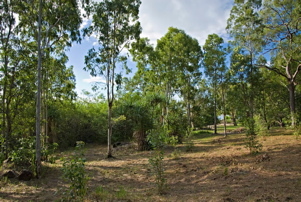 Generally, Kuranda is 2-5 degree C cooler than Cairns and is often referred to as the "air conditioned suburb of Cairns", mainly due to its surrounding Rain Forest and its Elevation. 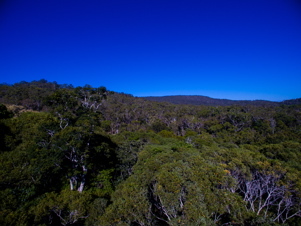 It is rare that temperature exceeds 31 degree C in summer, night minimums rarely drop below 20 degree C. Winter maximums typically are a consistent 25 degree C, however night minimums can drop to 8 degree C, owing to clear skies at this time of year (June - August) and cooler air movements originating from the southern Atherton tablelands. Smithfield with all its facilities is only 15 minutes down the ranges, a beautiful drive with vistas over the coast. The airport is another 10 minutes drive. 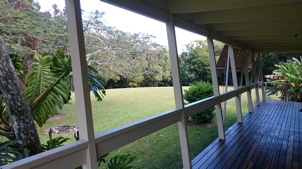 A Kindy, Primary and High schools in Kuranda including the Steiner School are in close proximity and the James Cook University is 20 minutes down the road. 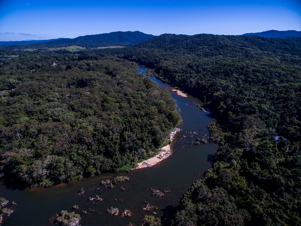 Not only does this property offer all the beauty of the rainforest and Barron River, the location is also a heaven for an active lifestyle amongst nature. 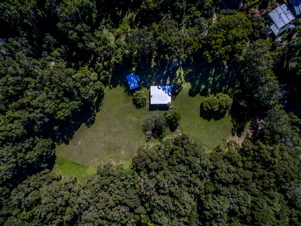 Tucked away 10 km from the road between Kuranda and Mareeba, one can enjoy complete solitude surrounded by Gum Trees, Melalucas, Bloodwood, Iron Bark, Stringy Bark and Grass Trees to name a few. 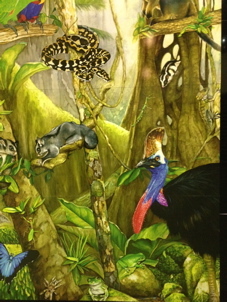 Wildlife abound, like kangaroos, wallabies, possums and a variety of birds. 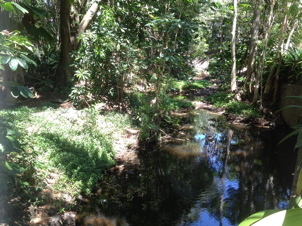 A seasonal creek meanders along the property. 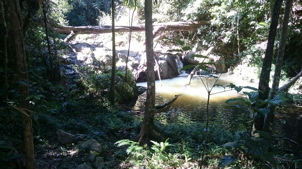 Gullies create swimming holes so refreshing all year around and a dam has been created. 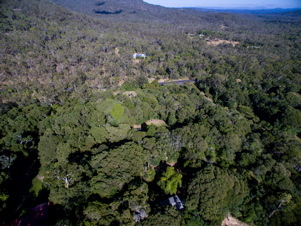 The property could carry 10 heads of cattle or horses. 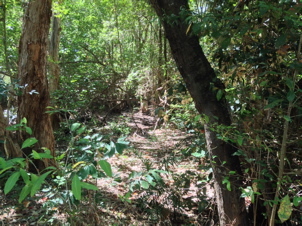 A public road is leading to the property. A Rainwater Tank or a Bore, Telephone and Solar Power have to be installed. Koah has been mentioned in the magazine "National Geographic" as one of the most temperate climates, rainfall average: 1 meter per year. With 380 - 500 m above sea level the property enjoys refreshing breezes from the coast which is 15 minutes to the East by ultra light plane. The zoning is Rural Residential. 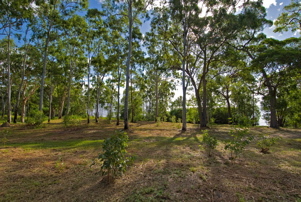 The soil is clay in some parts of the property and would lend itself for growing fruit trees and vegetables. 35 minutes and Cairns 60 minutes. The School Bus stops 5 km from to the property. 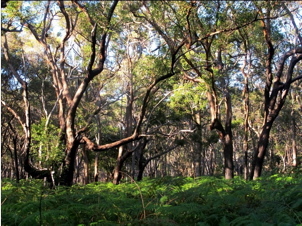 This wonderland is situated only 30 minutes North/West of Cairns. 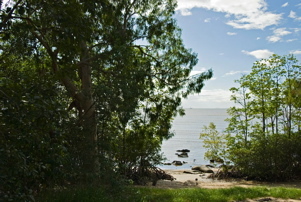 If you like the peace and quietness of the forest but still enjoy the lively entertainment and facilities of Cairns or the Northern Beaches, like Palm Cove, this would give you the best of two worlds. Please ask for detailed information about the environment with its many sightseeing locations, National Parks, Water Falls, River Walks and much more. 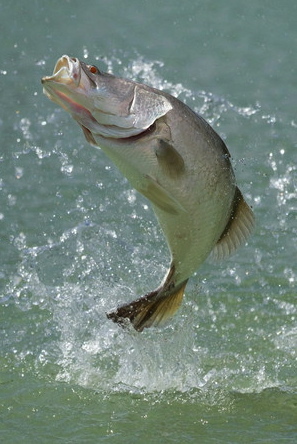 All the properties lends themselves for a very enjoyable lifestyle. They could accommodate a sprawling residence with all the desirable additions, tennis court, pool, guest house (paying guests or family). Often, seasonal creeks that meander through the properties could be dammed and horses could roam around and be accommodated in a horse shed. 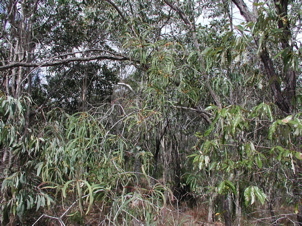 A great variety of Rain Forest Trees grow on most of the property, i.e. Cadagi, Kauri Pine, Acacia Cedar, Hickory, Flame Tree, Sankey's Walnut, Pandanus, Fig and others. Birds to observe are Bird of Paradise Buff-Breasted Kingfisher, Curlew, Sulphur -Crested Cockatoo, Black Cockatoo, a variety of Finches and Pigeons. 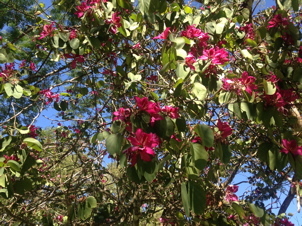 Butterflies add colour to the surrounding forest, like the Ulysses, Kuranda Bird Wing and many more. 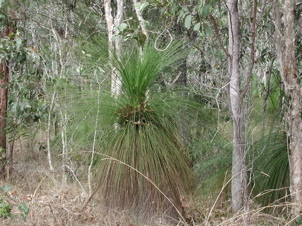 Frequent visitors are Wallabies (Kangaroos) and Possums. All necessary facilities in reasonably close proximity. This area would suit nature lovers. There are some substantial houses around and vacant land has become rare. Please ask me for information about available land. 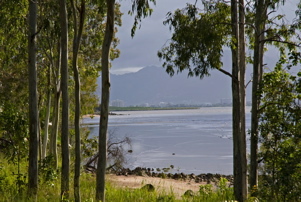 North facing, sandy beach, 200 feet (62.0m) Coral Sea Waterfront. 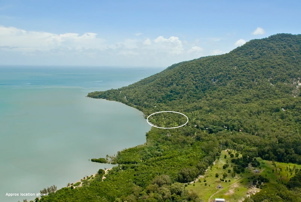 This is one of those rare offerings of an acre of elevated, absolute ocean- front with Water- Power-All weather bitumen road within Cairns Municipal Boundary. 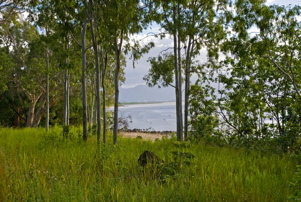 Watch in fascination the Green Island Super Cats with Cairns City and the mountains as the backdrop! Witness Cairns Airport activity - without the noise. At night, the City Lights are breathtaking! 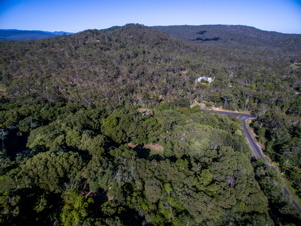 Only four, one acre blocks in this secluded cove.